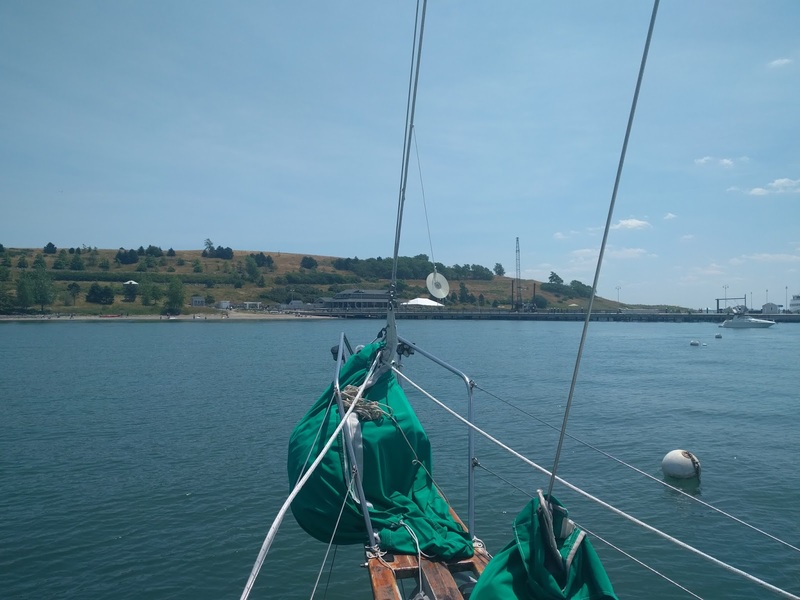 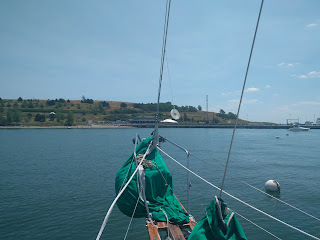 I moored next to Spectacle Island which is one of 34 islands in Boston harbor that is managed by the National Park Service. 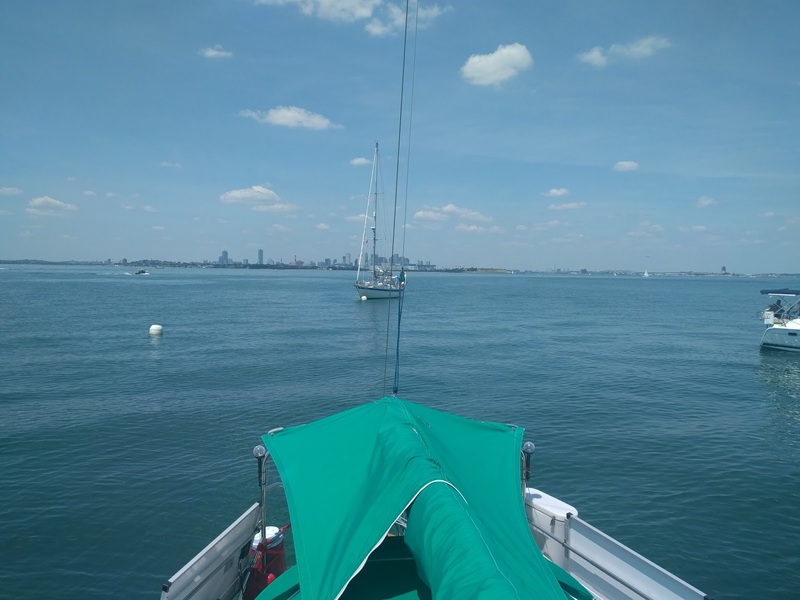 I sailed down from Salem today under a sunny blue sky next to the Boston skyline. 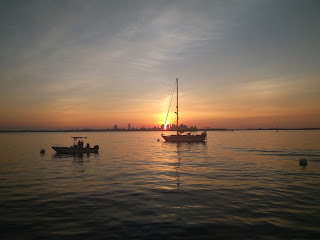 I am looking forward to seeing the Boston skyline at nighttime all lit up. 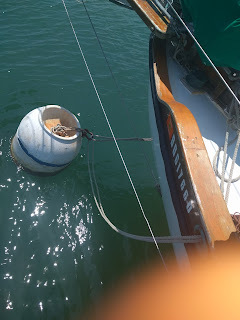 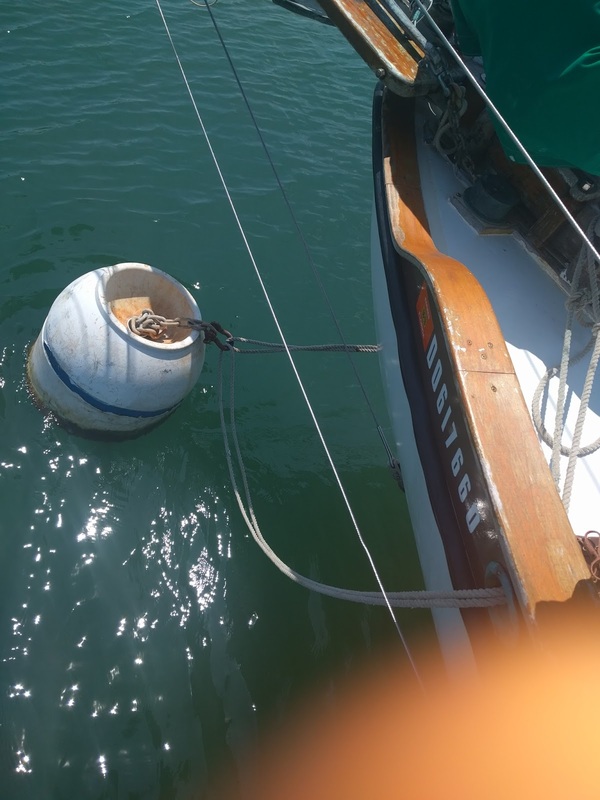 The mooring here didn't have a pennant which is an extra line at the top of the float for connecting to the boat so I attached it with a pair of lines either side of the boat.